A few weeks ago, a friend of mine and I were shopping, not for anything in particular, just going in and out of some fun shops. We popped into a store that sold shoes (I can't walk past a shoe store without going in!!! ), tights and hats. 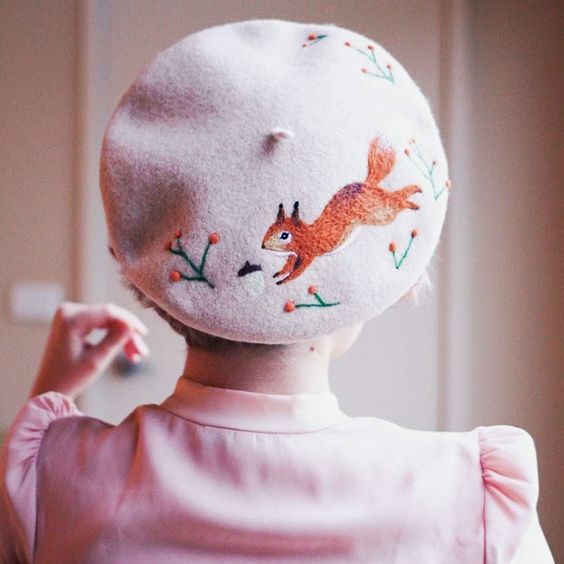 We both spotted the cutest little hat, more of a cloche style. She pulled it on, and it looked so cute. About that time, her husband walked in and said, "you aren't going to wear that hat." I felt like telling him to walk right back to where he came from. Rather than reply to him, she handed the hat to me and told me to try it on. Now, I love hats, and maybe it's because I love hats that they always seem to look as though they were made for me. As she looked at me in the hat, she said, "Oh, I love that hat, but I guess I don't need it." Since I too loved the hat, I decided to take a gamble and purchase the hat as I thought she would change her mind, and if she didn't, I had a super cute new hat. When we got back to my house, she walked into the bedroom and then came back out with the money for the hat. My gamble paid off :) And...she wore the hat a number of times before while they were with us. What is it about hats that draws us in, but then makes us hesitate? There was a time that we wouldn't leave the house without a hat on our head. A few weeks ago, I saw a delightful piece on a Sunday morning program that I enjoy. It was all about the French beret, and not just any, the Laulhere Beret. I've attached the video below. Take note of how the employees banded together to save the company. Just such an incredible story. 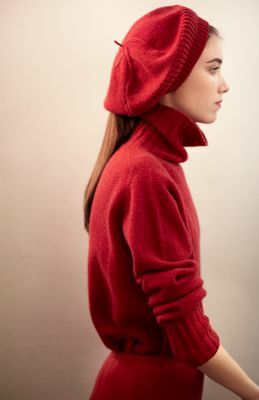 For most Americans, when we think of a beret, we visualize something like the picture below, a svelte Parisian woman in a striped top with a red beret. Another lovely look, a sweet blouse, tweed trousers, and a plaid wool beret. The hat just seems to pull it all together. Another lovely, polished look. 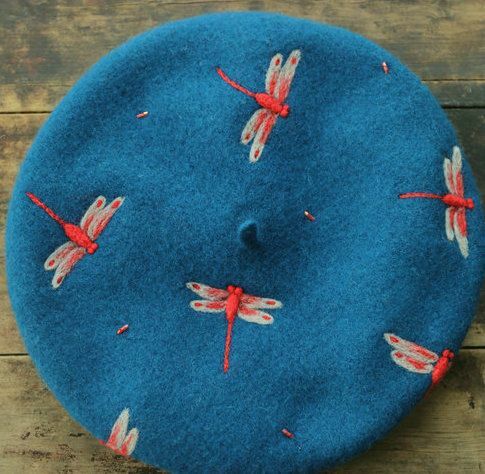 This beret, if not from Laulhere, it's the type that they make. If you think you might like to have one for yourself, I found THIS SITE that carries the Laulhere label. 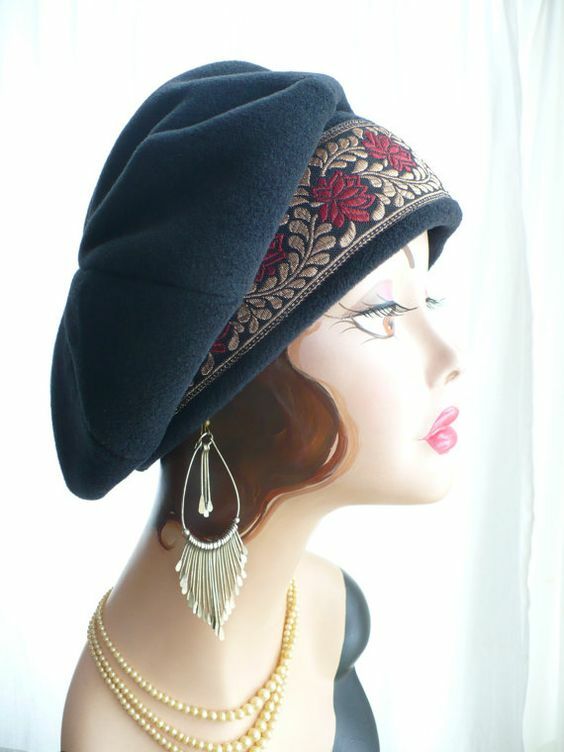 Berets can be made in any type of fabric, even hand knitted. They can be customized with a wide trim. You can find this hat HERE on Etsy. 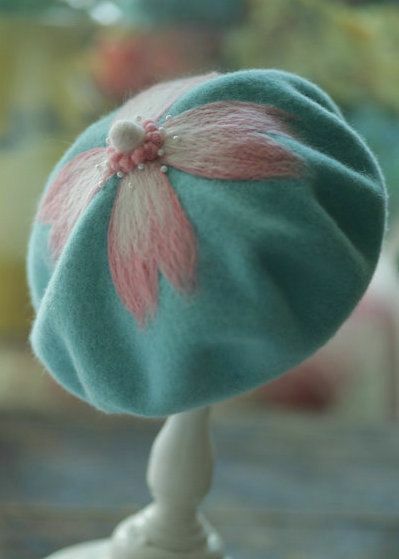 If you enjoy needle felting, a beret will lend itself to anything the mind can imagine! The above hats came from a cute shop called Elves In Glass. Click on the link to see other delight concoctions. And how cute is this?!! Is she a fox or not?!!! :) I found this hat HERE. Just so whimsical! After watching the video, I too want a Laulhere beret. A hat company with that type of history is well worth owning at least one for myself. But...if you would like something a little more customized, you can find my free beret pattern HERE. I think berets are the perfect hat. They help keep your head warm when it's cold or chilly out. They look great with everything. And they can easily be popped off and thrown in your bag if you would rather not wear them all day. And I think of Prince... "rasberry beret"
Love this post! Thee's something about berets--they seem to look good on everyone. And you've found so many possibilities--thank you. I saw that Sunday Morning show, I hope the employee-owners succeed! I think the 2 biggest things keeping people from wearing hats (other than in winter) is not knowing what style of hats you look good in, and the perception that they are costume items now. It seems we only see the wacky over the top ones that are worn at the Ascot horse race in England, or Easter bonnets, etc. If all you know of hats is itchy stocking hats or costume hats, it's hard to make the leap to wearing them every day all year round. I forgot - I'm glad your friend came to her senses. Her DH had his nerve with that comment. I hope she gets much happiness from wearing it. Thank you for this fun post. 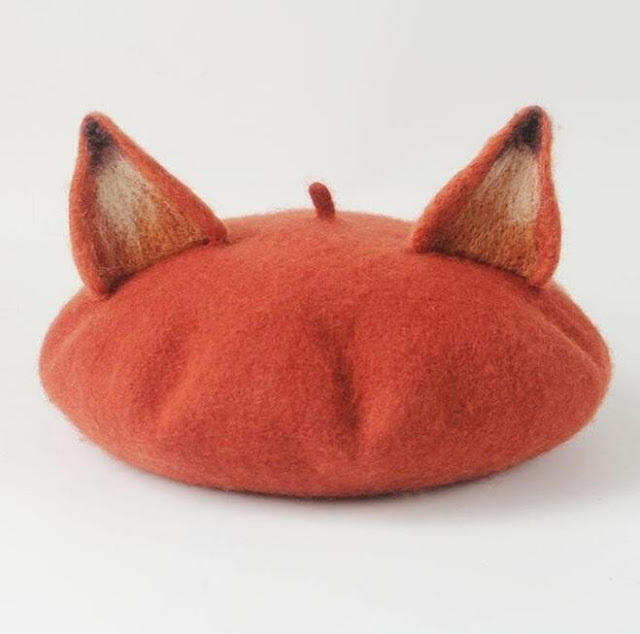 I hope that beret company succeeds. I do not wear hats but you have piqued my interest.